For long time storage, you must keep enzymes in sterilized conditions at cryogenic temperatures, in freezers or immersed in liquid nitrogen. To avoid protein denaturation, it is critical that samples are frozen in a controlled and rapid manner. Dohmeyer is a valued partner of universities, and medical and research institutes for development, design and manufacture of controlled rate freezers. Liquid nitrogen plays an important role in the controlled rate freezing and cryogenic conservation of human cells. You can use the cold energy and low temperature of liquid nitrogen for fast freezing, with minimal cell damage. Combined with appropriate cryoprotectants, the temperature of liquid nitrogen (-195,8°C) ensures optimum conservation of tissues and cells with a maximum survival rate after thawing. 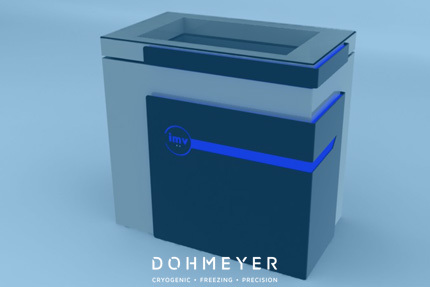 Dohmeyer is a valued partner of universities, and medical and research institutes for development, design and manufacture of controlled rate freezers and liquid nitrogen storage systems.